At Noto Financial Planning, we believe the different areas of your finances should fit together and support each other. Rather than look at investments in isolation or ignore assets we are not managing, we take a holistic approach and view each piece of your financial situation within the context of the greater whole. As life and your circumstances change, so should your financial plan. In a well-constructed portfolio, each investment fulfills a specific function and is appropriate for your unique situation. We provide objective, unbiased investment recommendations that are based upon your personal needs, so that you can make smarter investment decisions. Here are some ways we add value with our investment advice. The better we understand your values and what is important to you, the better we can help you structure your finances to achieve your goals. This can include goals such as university expense planning, planning to buy a house, start a business, and leave a legacy. Knowing that you will have enough money in retirement is critical to any financial plan. 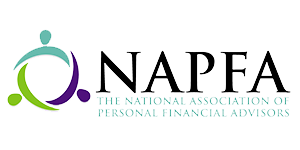 NFP helps you understand the financial path you are currently on, empowering you to make changes if necessary. We also help clients nearing retirement reposition their portfolio for the next stage in life. We help you identify financial risks and discuss different types of insurances to help protect yourself and your family from risks you cannot afford to take on your own. For many clients, this is the first time they are reviewing their insurance coverage with someone not paid to sell it to them. Taxes are a significant lifetime expense. 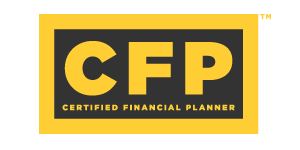 Although NFP does not offer tax preparation, we review your tax situation and look for opportunities to reduce your tax bill. Investment advice is provided with an eye on tax optimization.